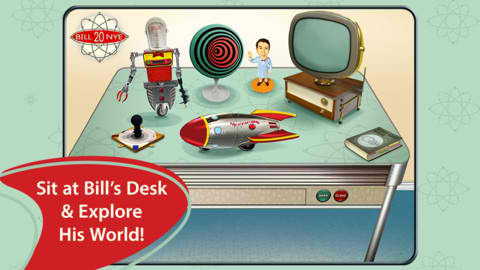 Brief Description: Sit down at Bill Nye's desk and explore the amazing world of science! What my kids like: My kids are science geeks, so they loved everything about this app. From flying their own rocket to the different planets in our solar system, launching satellites and taking pictures to decoding face scrambling technology to digging for artifacts. The app even includes a tutorial on how to tie a bow tie, which they got a kick out of. And of course, they loved the sound effects and the Bill Nye theme song that runs a few times in the app. 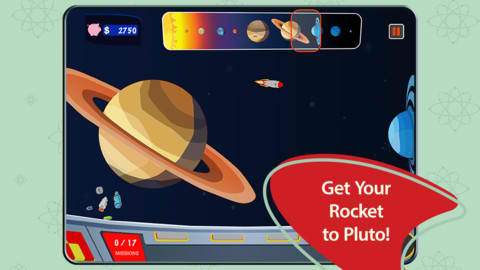 What I like: I like apps that allow my kids to develop their science skills period. There aren't a ton of games or activities in this app (what do you expect - it's free!) but the ones that are there are fun and informative. 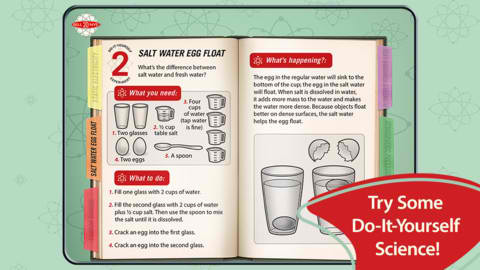 I especially like the Book of Do-It-Yourself Experiments that gives instructions for easy experiments that kids can do at home using common household items to study science concepts in action. I also enjoyed the fast facts that the Bill Nye bobble-head doll sitting on the desk spews whenever you click on it. The optical illusion section is fun and even surprised me, which I think both my kids enjoyed, too! Notes: This app does offer in-app purchases, so if you don't want your kid buying Bill Nye episodes and such, make sure that your account is password protected and that your child doesn't know what your password is. It's also only available in English. Thank you for sharing this!. I have been a 'Bill Nye' fan for years. I love his videos (they make learning so much fun), even though some may look out-of-date. This app surely catches up with both times and technology.